Using the latest Electronic Design Automation (EDA) tools from Altium Limited , which currently means Altium Designer. 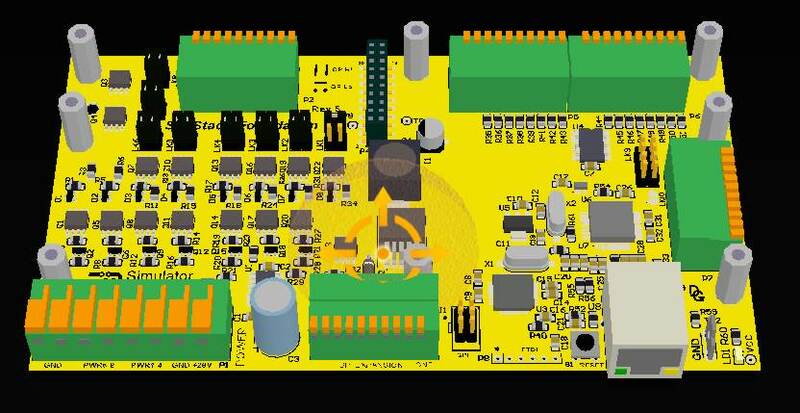 We can of course also read files from earlier Protel versions (Protel DXP, Protel 2004, Protel 99SE or Protel 98) and other PCB programs such as Eagle, PCAD etc. Analogue, digital, RF and power designs can all be handled, with 'design for manufacture' factors always being carefully considered. Single layer, double layer and multi layer boards are all easily accommodated. One of our recent designs was a ten layer board with geometries of 0.15mm clearance and track widths. As you might imagine, this board was heavily loaded with fine pitch BGA chips. We can also arrange manufacture of your printed circuit boards and, if desired, have them assembled. If your design department has better things to do than PCB layout - give us a call! You can provide us with the schematic (circuit) already drawn in Altium/Protel format or we can take your design from a hand drawn circuit or something drawn with another package. We can also do the complete hardware design for you. Have a look at the Custom Electronic Design page for more information. PCB layout, PCB design, printed circuit design, printed circuit boards, circuit board design, Altium Designer, Sydney, Australia. © 2019 Digital Graphics P/L (ABN 37.003.836.075) All Rights Reserved.